Are you searching and searching to find the perfect Christmas gift for your girls? I have done all the research for you and compiled a list of gifts of all different kinds for girls. 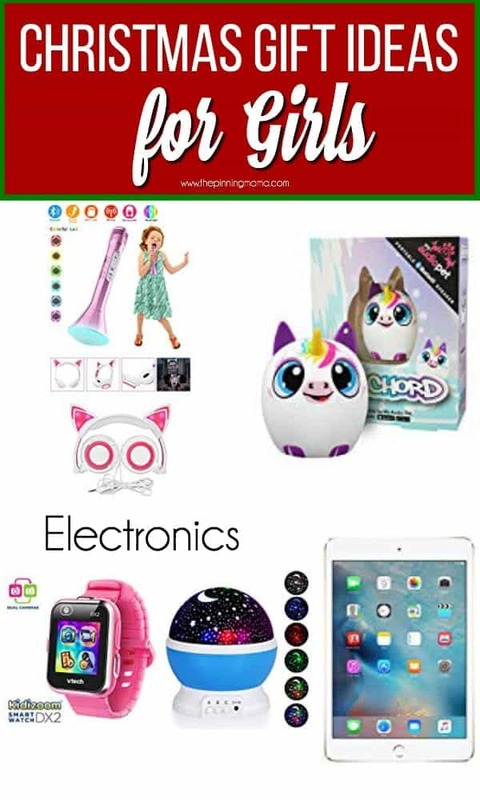 These gifts are tried and true gift ideas from fellow moms, kids, and myself. These gifts range from inexpensive to big gift ideas that are more of an investment. Whether your girls is outdoorsy, artistic, sporty or super girly, there is a little something for everyone! Buying presents for kids is truly one of the most fun parts of the Christmas season. When Christmas morning arrives and their eyes light up as the rip the paper from a toy that delights them it makes every second of finding that perfect gift worth it. I love that girls love to dress up and pretend they are something magical. My little girl loves dressing up in princess dresses and dancing around. I also love when she plays house with her dolls and mimics things that mom’s would do. 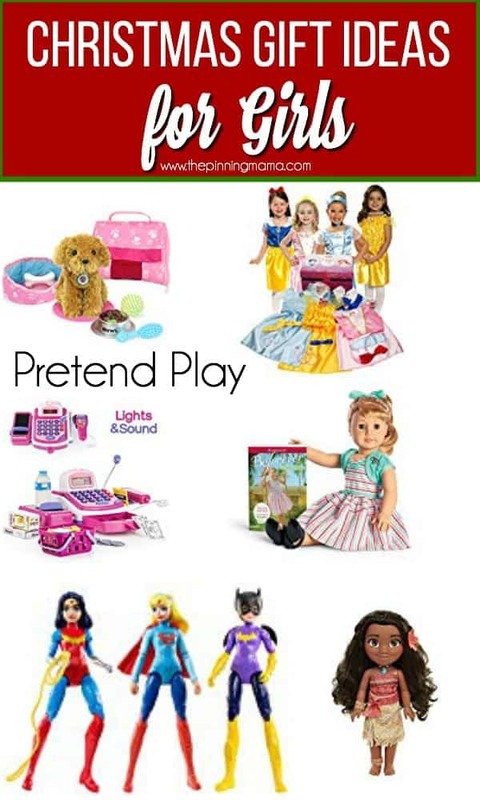 I hope you find something great in list of pretend play for girls. I chose these gifts because they have been some of our favorites over the years. Chasing Butterflies Ceramic Tea Set best for ages 3-9 years old. American Girl Doll– best for ages 4-10 years old, by little girl loves her doll, and she is 8. LEGO’s are one of my favorite toys to give. We LOVE legos at our house. My kids will play with them for hours and hours. 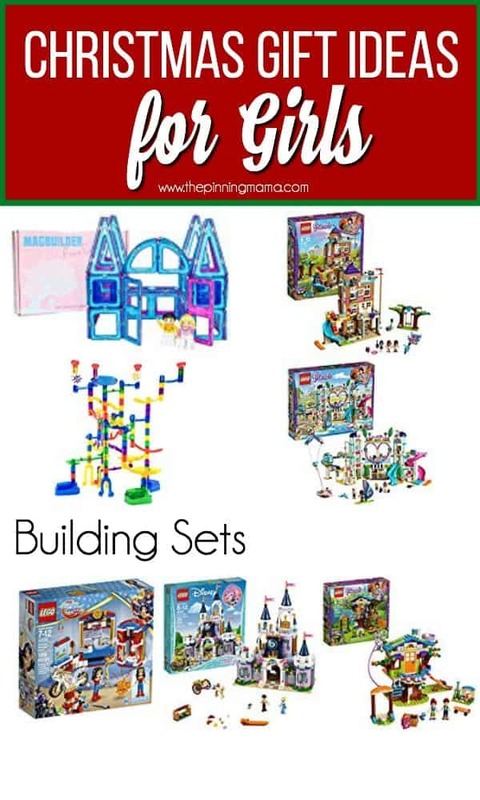 This year the majority of their Christmas lists are legos. Another toy we love is magnetic tiles. This is one of our most used toys when friends come over. These Lego sets are best for ages 4 and above. If you are looking for Lego sets for younger kids, the Duplo sets are great for those younger kids. I also love the Magnetic Tiles for 3-10 years old. Girls love to play around with makeup and all things beauty. I think it’s pretty cute when they try and put on makeup…. just for at home play of course. I chose these gifts because my daughter has used every single one of these at some time. WolVol 2 in 1 Vanity for Girls this cute vanity is perfect for those girly girls ages 5 years and older. Project Mc2 Ultimate Spa Studio best for ages 7 and older. I know what you are thinking….. arts & crafts are messy. They can be but these are some of my favorite less messy crafts. My little girl loves crafts and could do them all day long. I asked her to list her favorite craft toys she has received and this is her favorite ones. She would be happy to craft all day long. The majority of these crafts are for girls ages 6 and older. The stencil set could be used for kids a little younger. 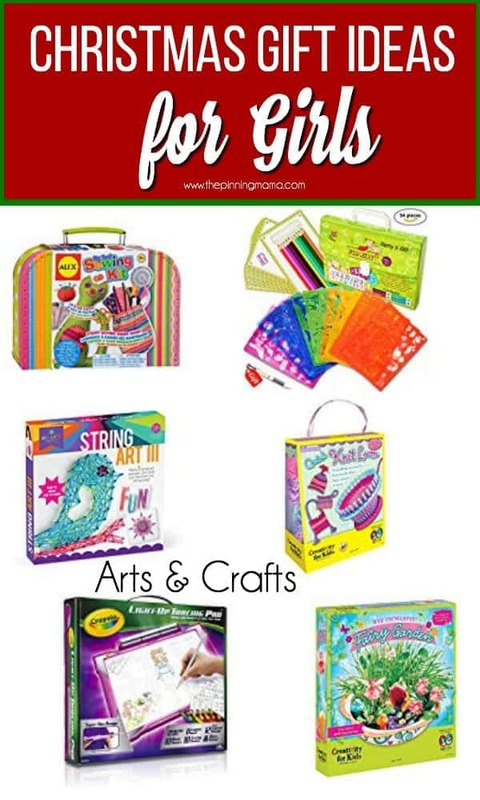 The best gift for younger girls would be the Melissa & Doug Scratch Art Doodle Pad. These are some of my kids favorite items. She uses her bluetooth speaker all the time to blast music in her room and dance the night away. The iPad is one of our favorites. It’s perfect for airplane rides, in the car or to use during quiet time. I like to download educational games for my kids to practice on while they are out of school. The thing I love about girls is they love to accessories. Accessories can be so fun, and spice up any outfit. 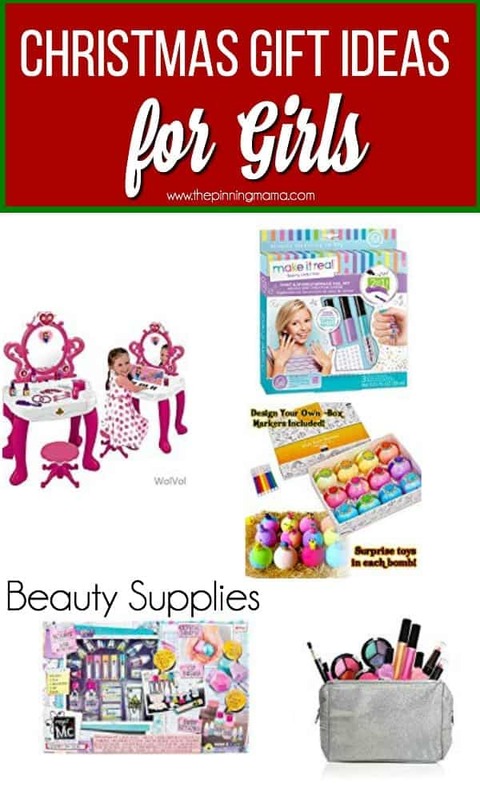 You can’t go wrong with any of these fun girly products. I chose these gifts because they were all recommendation from girls ranging from ages 4-10 years old. These items are all of their favorite accessories. I feel like any gift that get my kiddos outside is a great one. 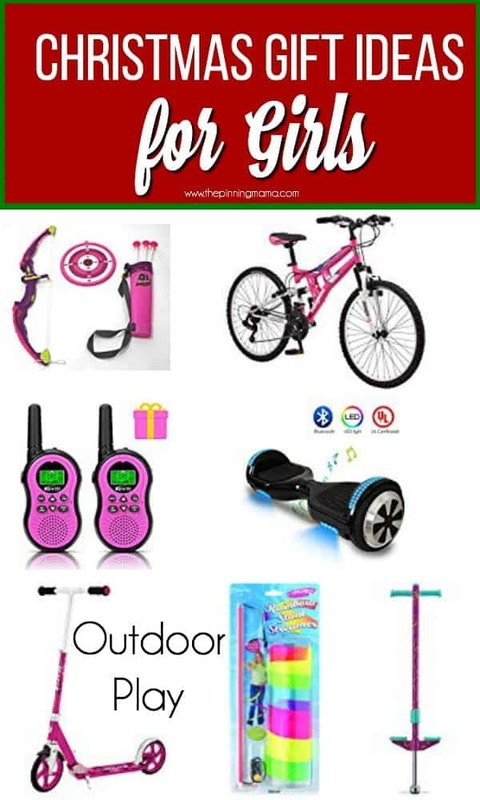 My kids love playing outside and I feel like these items are a great way to get some energy off after a long day in school, or to ride around the neighborhood with friends. Bike the bike listed here is for ages 7 years and up. If you are looking for a bike for younger girls you can find it here. I like these bikes for younger kids because it gets them ready for bigger bikes in the future. My kids have had scooters since they were 3 years old and they are so worth the purchase. Scooters are pretty inexpensive so it’s a great purchase that will last a long time. The rainbow streamer is fun for kids starting at age 3 years old to dance around and pretend she is performing for a large crowd. I hope you have found something in this list that you think your little girl with ABSOLUTELY love! One of my favorite things to do is make gift lists for others. I love giving gifts and part of that fun is searching for the perfect gift in the first place. 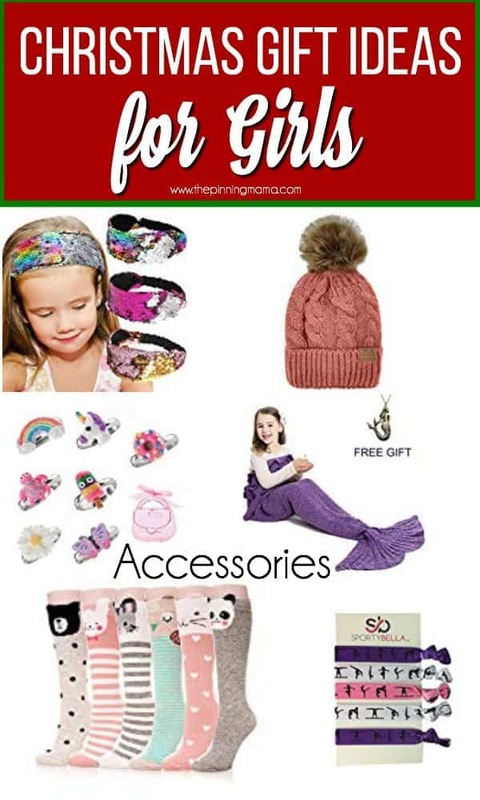 If you have any more great selections for Christmas Gifts for Girls please comment below, to share with me and ALL of our readers searching for gift ideas!